Ed Snowdon’s email service shuts down – advises not to trust physical data to US companies – what are options ? It has been a while since we did a post and a lot has happened in that time including the explosion from Edward Snowdon and the PRISM snooping revelations. 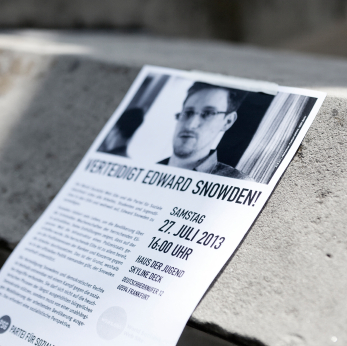 These have continued to gather momentum culminating in the email service that Snowdon used, Lavabit, closing. The owner, Ladar Levision, said that he had to walk away to prevent becoming complicit in crimes against the American public. All very cryptic and chilling. He also had this advised that he “would strongly recommend against anyone trusting their private data to a company with physical ties to the United States.” So what to do if you have data stored on remote servers ? Well firstly you may not care. The data you are storing may no way be sensitive and that is the key ie. you need a strategy for how you deal with sensitive data and sharing of sensitive data so what can you do ? 1. You could consider encrypting the data that is stored on cloud servers. There are various ways to do this. There are client side tools such as BoxCryptor that do a good job of this, and there are also more enterprise type platform solutions such as CipherCloud and Storage Made Easy that enable private key encryption of data stored remotely . Both can be deployed on-premise behind the corporate firewall. 2. You could consider a different policy entirely for sharing sensitive data. On a personal basis you could use OwnCloud or even setup a RaspBerry Pi as your own personal DropBox or again you could use StorageMadeEasy to create your own business cloud for keeping sensitive data behind the firewall and encrypting remote data stored outside the firewall. The bottom line is think about your data security, have a policy, think about how you protect sensitive data.